Often when we think about looking after our skin, it's all about what you can't eat. Cut down on dairy, stop drinking fizzy drinks, stay away from chocolate; all those boring sorts of things. 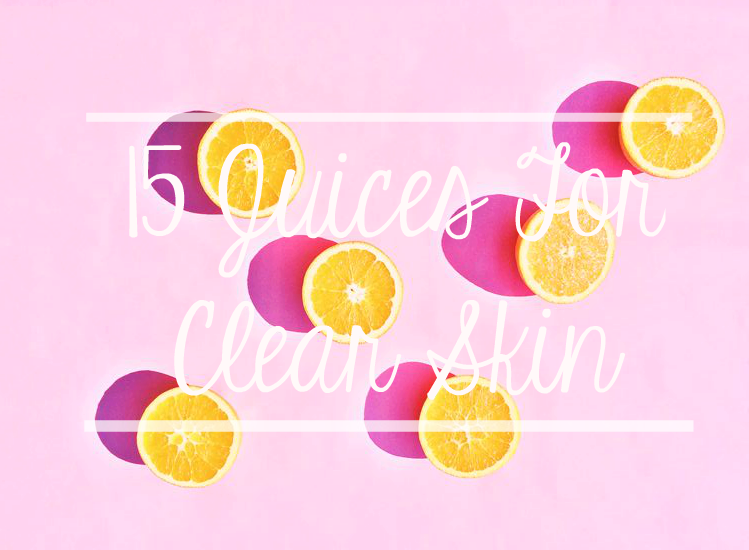 Instead of worrying about what we can't eat when looking to improve our skin, I like to think about what I can consume, so here are my favourite fifteen tasty juice and smoothie recipes that will leave you glowing and satisfied. 5. Ohmyveggies' Dreamsicle Smoothie - There's also a blender review on this page so make sure to give it a read if you are looking to buy one. Time to dust off my juicer and get creating! You're so right with a healthy attitude towards nutrition - all the amazing healthy foods you can add into your diet is great to focus on, rather than all the 'rules' and restrictions people put on themselves.